Lead Liaison‘s lead nurturing allows B2B marketers to easily build repeatable nurturing models for their entire lead database. Every company has their own definition of a sales funnel, or revenue cycle, and nurturing technology helps seal holes in the funnel ensuring no lead is left behind. Build nurturing campaigns using drag and drop technology that is easy to use. 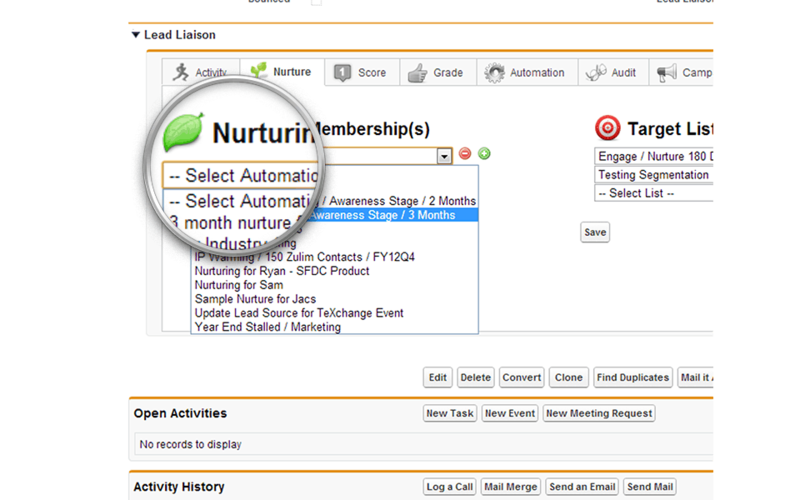 Automate nurturing rules based on prospects demographics or activities. Create rich email messages personalized to your prospect and their interest and use this content for nurturing. Are you a marketer and looking for more ways to help your sales team? You’ve come to the right place! 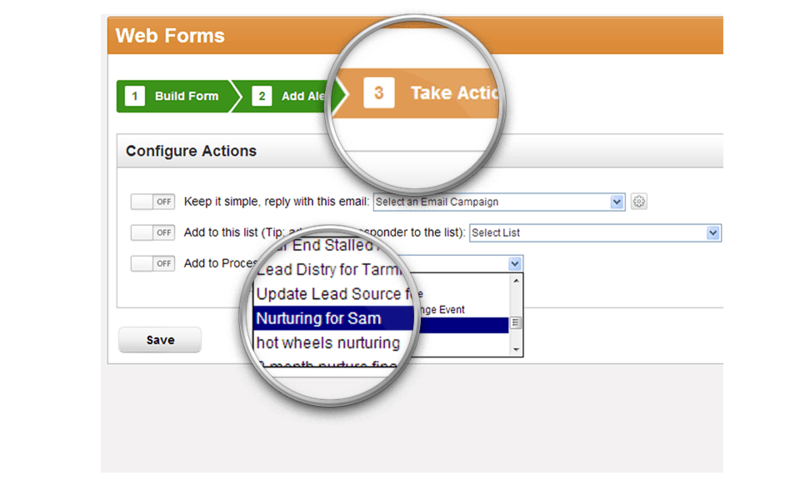 Pre-build targeted nurture campaigns for your sales team. With two-clicks, a sales person can “drop” a Prospect into a nurturing campaign. Use our drag & drop nurture campaign designer to easily create intelligent nurture campaigns. These aren’t your typical “drip campaigns”, they’re intelligent – they listen to Prospects behavior and respond accordingly. When sales adds someone to a nurture process they’ll be alerted when a Prospect clicks a link in the nurturing content or opens a document included in one of the nurture emails. Using Lead Liaison’s advanced segmentation capability partition your database into smaller groups and nurture them. Use demographics or online behavior as segmentation criteria. Once you’ve narrowed down your targets, create a suite of nurturing actions and send out your campaign. We even give you a template to get started! 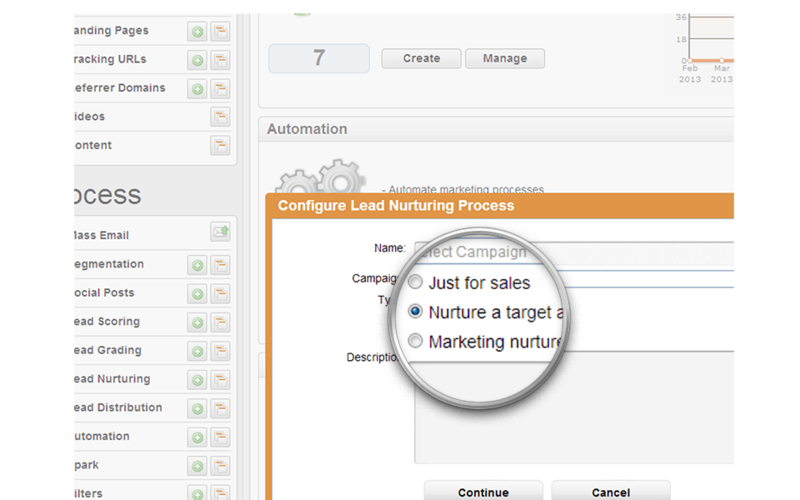 Pre-configure “core nurture tracks” to use in other processes across your business. 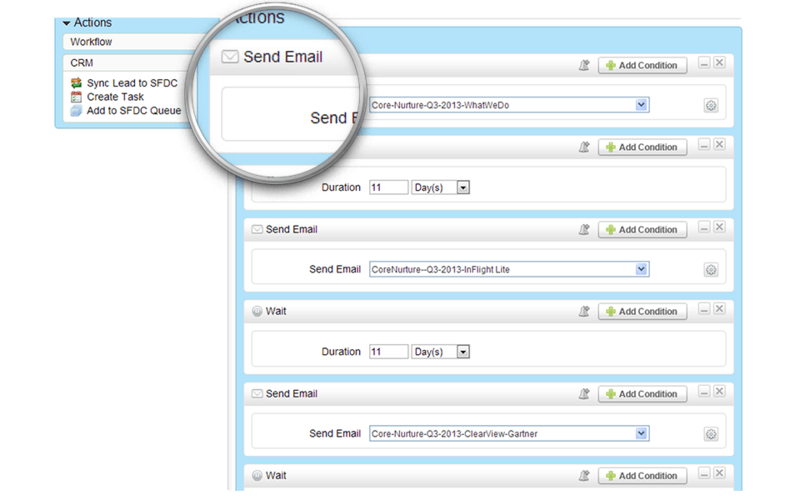 For example, use a core nurture track to add a Prospect into when they submit a web form. Alternatively, when someone clicks a link in an email campaign add them into your nurture track. Chain nurture tracks together to send Prospects from one track to another based on their interaction and online activity. Inline with various capabilities, such as our web form designer, company’s can leverage their nurture tracks as actions. For example, with the web form designer the final step in the design wizard is to take action when the Prospect submits the web form. Send them an email or add them into a nurture track. 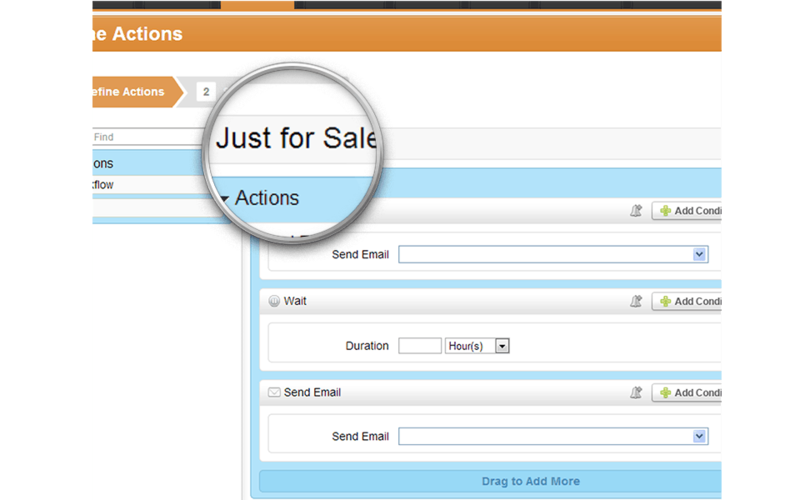 Easily drop a Prospect into a nurturing workflow from within your CRM. It’s a fact that marketers need to keep things simple for sales. It’s hard enough to get them to log into your company’s CRM. However, when they realize how easy and advantageous it is to nurture Prospects right inside your CRM they’ll be craving for more. Ask us how our sales people benefit from nurturing. We drink our own champagne and – oh man – it tastes good! Company-to-company communication is not a best practice. Company-to-person communication is just as bad. To effectively build relationships, businesses need to send personalized, 1-to-1 emails. 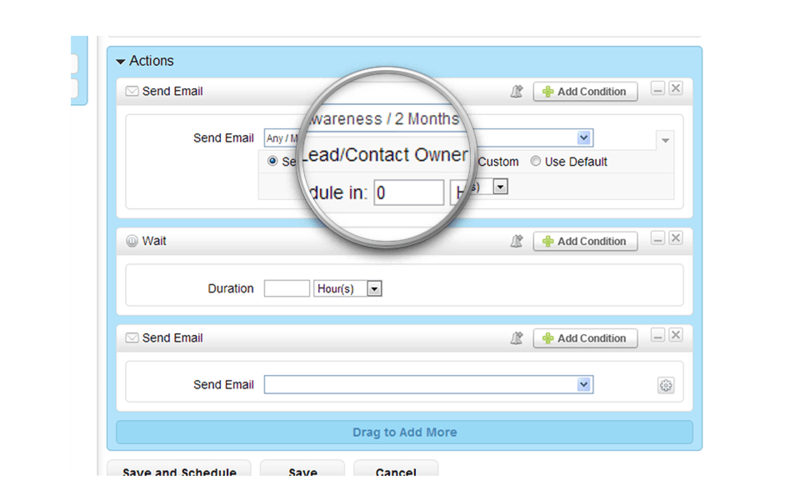 Marketers can send emails using Lead Liaison from any contact. Send it from the marketing point of contact or from the Lead Owner.